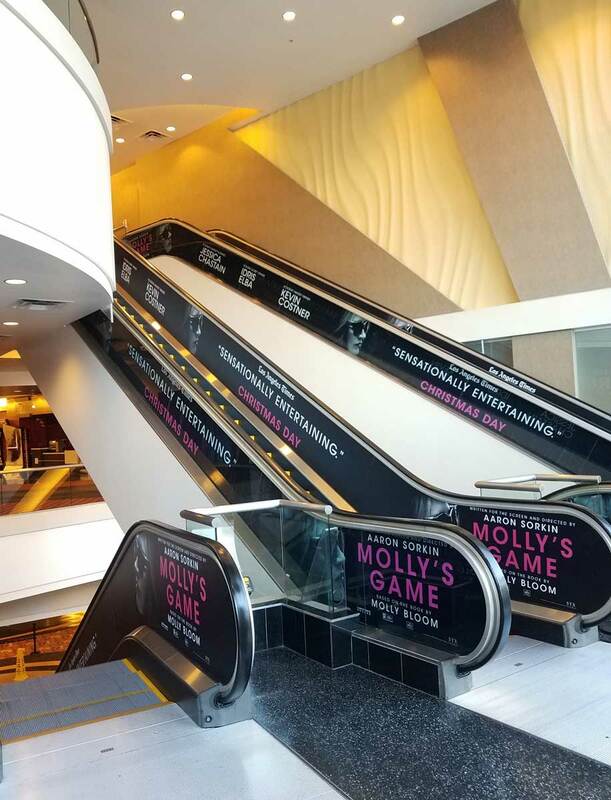 Olson Visual installs numerous graphics for the inspired true story, Mollys Game film. Directed and written for the screen by Aaron Sorkin, this movie chronicles the life of Molly Bloom. Bloom becomes a target for the FBI while running an underground poker empire for famous celebrities, athletes, business men, and the Russian mob. Originally Bloom was to become an Olympic skier but her career was cut short due to an injury during the qualifying 2002 Winter Olympics. Instead she decided to go into law school but takes a year off and moves to Los Angeles. There she works for a night club as a bottle-service waitress. She meets Dean, and becomes his office manager. He gets her to run his underground poker parties. She starts to earn a bunch of cash just from tips. She figures out how to appeal to the players. She starts her own business in New York instead but ends up having a player who is running a ponzi scheme. This player ends up selling her out. 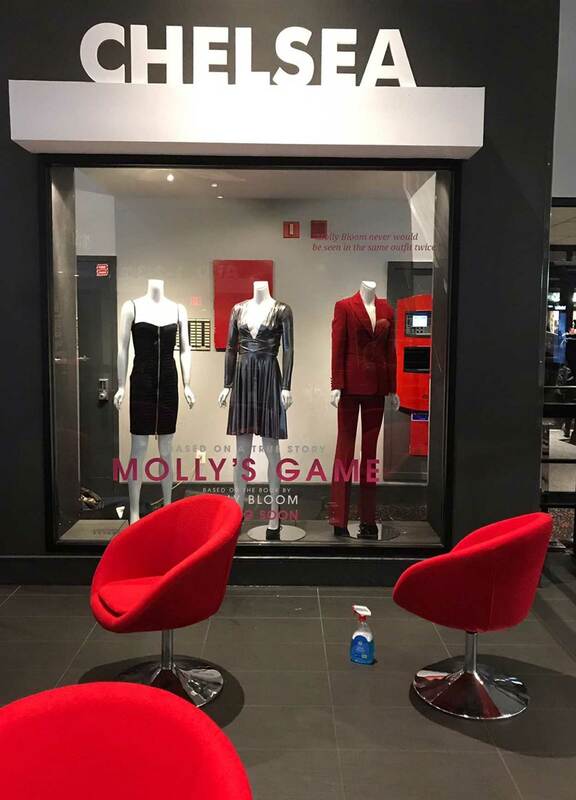 The film is based off of Bloom’s book, Molly’s Game: The True Story of the 26-Year-Old Woman Behind the Most Exclusive, High-Stakes Underground Poker Game in the World. The rights were bought by The Mark Gordon Company to adapt the story into a film. Aaron Sorkin was hired and wanted Jessica Chastain and Idris Elba to star. 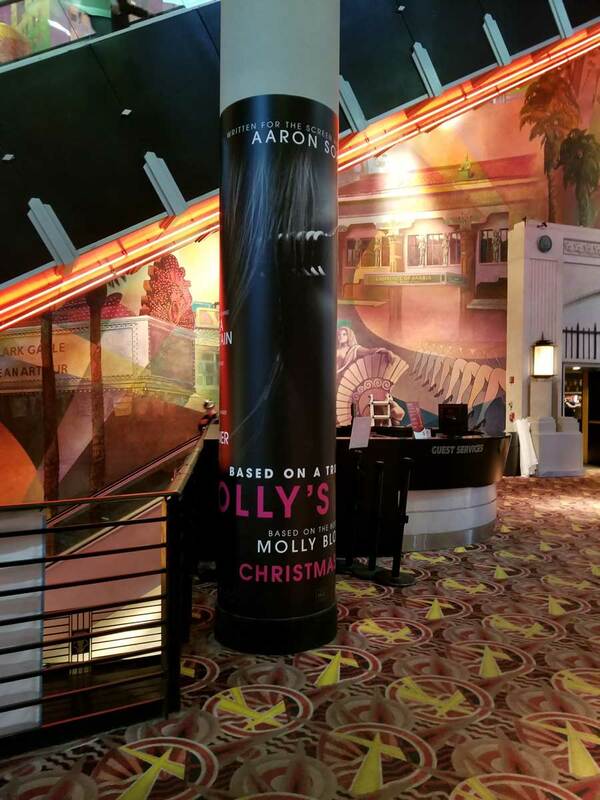 Olson Visual installs numerous graphics for the film. 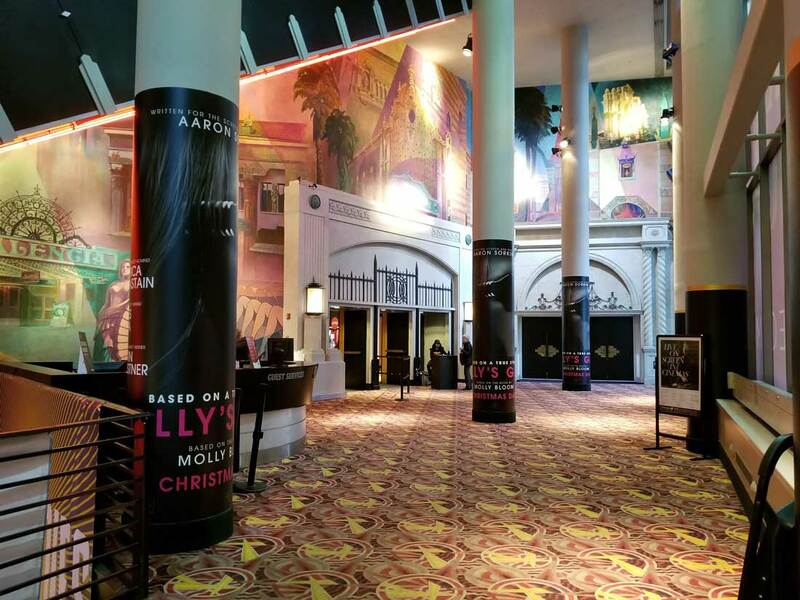 This includes: prop and display, escalator graphics, column graphics, and wall graphics. 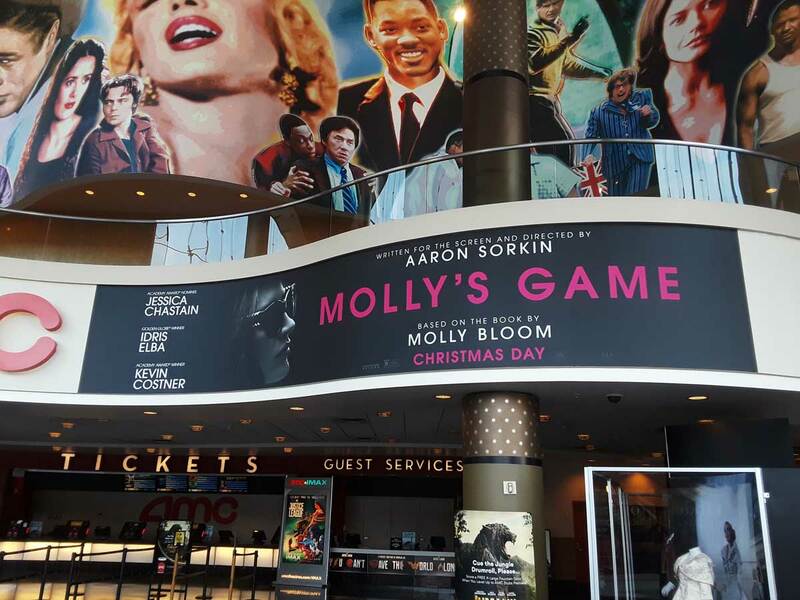 Check out these images of our work at various theaters.